The French Republic does not discriminate or differentiate between individuals in terms of gender, difference or ethnicity. 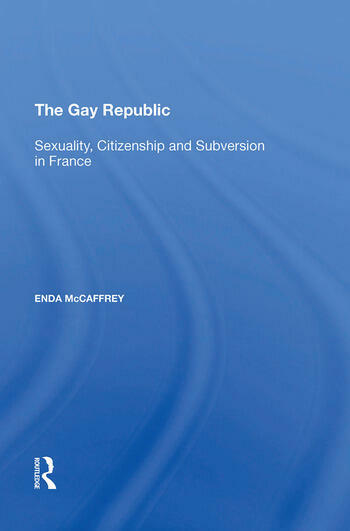 However recent legislation has enshrined the rights of gays and lesbians and it is this legislation that has inspired the author to examine the unique relationship between the Republic and its citizens - in this case gay and lesbian citizens. The author assesses the impact the new legislation has had on France as a democratic, multicultural republic founded on equality of citizenship, and on the lesbian and gay community, caught between inclusion and exclusion. The book combines approaches from sociology, political science, legal studies, cultural studies and the study of gender and sexuality, and will appeal to academics and postgraduates in these fields. Contents: Introduction. Theoretical Considerations: Universalism in the Republic: a political, religious and conceptual divide; 'La diff�nce des sexes': difference or distinction? ; From 'crisis' of law to a new 'esprit des Lois'; Lesbian and gay identity and the politics of subversion. Practical Concerns: Adoption and filiation: the new PaCS pact; Between marriage and concubinage: the dilemma of the lesbian and gay couple; Homophobia: mimesis, legislation and 'Outing'; Conclusion; Bibliography; Index.